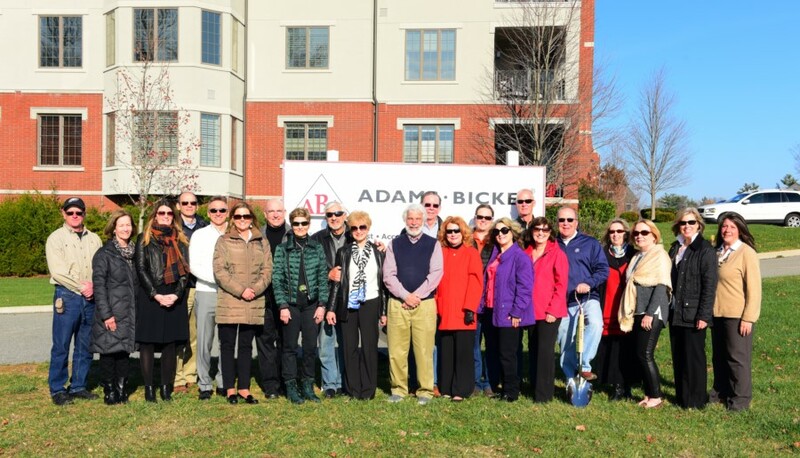 More than a dozen future Main Line homeowners gathered this past December to celebrate the ground-breaking of Phase IV (Building 6000) at Athertyn, Pohlig’s premier lifestyle community set in the 209-acre Haverford Reserve. The Pohlig team, along with principals Todd Pohlig and Don Pohlig, as well as construction management partner Adams Bickel, were also on hand for the occasion. Athertyn’s 55+ luxury living concept is the number best-selling in the region, with this next phase slated to be complete by year’s end. Homeowners enjoy ‘right-sized’ single-level condos paired with a maintenance-free lifestyle and resort-style amenities.